Project I Am was created by 8-year-old Jahkil Naeem Jackson. Jahkil, now 11, has a heartfelt desire to help those in need. After helping his aunt distribute food to the Chicago homeless, he knew that he wanted to do more to make a difference. 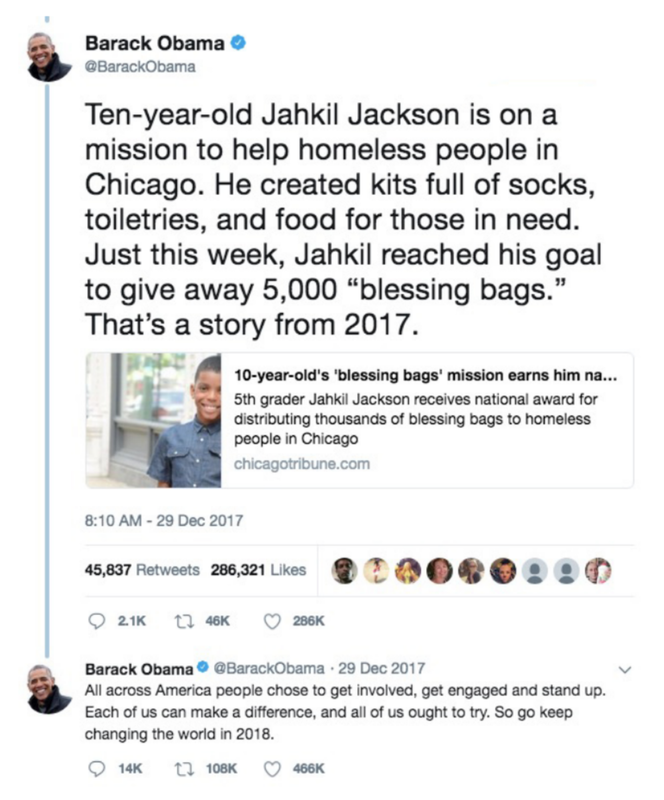 It quickly became Jahkil’s mission to build awareness of homelessness and to help the homeless population by offering them what he calls “Blessing Bags,” a giveaway filled with wipes, socks, deodorant, hand sanitizer, granola bars, toothbrushes, toothpaste, bottled water, and more. Jahkil Jackson has set and surpassed many goals in his young life. Distributing his Blessing Bags to the homeless has been one of his biggest achievements thus far. In just a few years, Jahkil’s efforts have touched over 20,000 men, women and children across the world. Along with the help of friends and family, Jahkil has organized distribution to those in need in Chicago, Los Angeles, Washington D.C., Atlanta, Virginia and Idaho. He has also provided Blessing Bags to orphans in Mbabane, Swaziland, as well as volcano victims in Guatemala, and hurricane survivors in Florida, Houston and Puerto Rico. Jahkil is a motivational speaker on a mission to influence kids around the country to get involved in their communities. He plans to continue to join forces with other like-minded youth to lead a life of service, encouraging them to find their passions and make the world a better place. To continue to reach his goals, he is asking the public for supplies and monetary donations. Summer 2016, he was named a Youth Ambassador for Heartland Alliance, one of the world’s leading anti-poverty organizations, working in communities in the U.S. and abroad to serve those who are homeless, living in poverty, or seeking safety. Winter 2017, Jahkil became a member of the WE International Youth Council. WE is a movement that exists to make the world a better place. WE Day is also a celebration of youth making a difference in their local and global communities. Jahkil was a guest speaker for 2017 and 2018. Fall 2018, Jahkil became the youngest member of the Independent Youth group which empowers today’s youth to become tomorrow’s business leaders and entrepreneurial innovators. Most notably, Jahkil was acknowledged as one of three influential people of 2017 by President Barack Obama and the Obama Foundation. 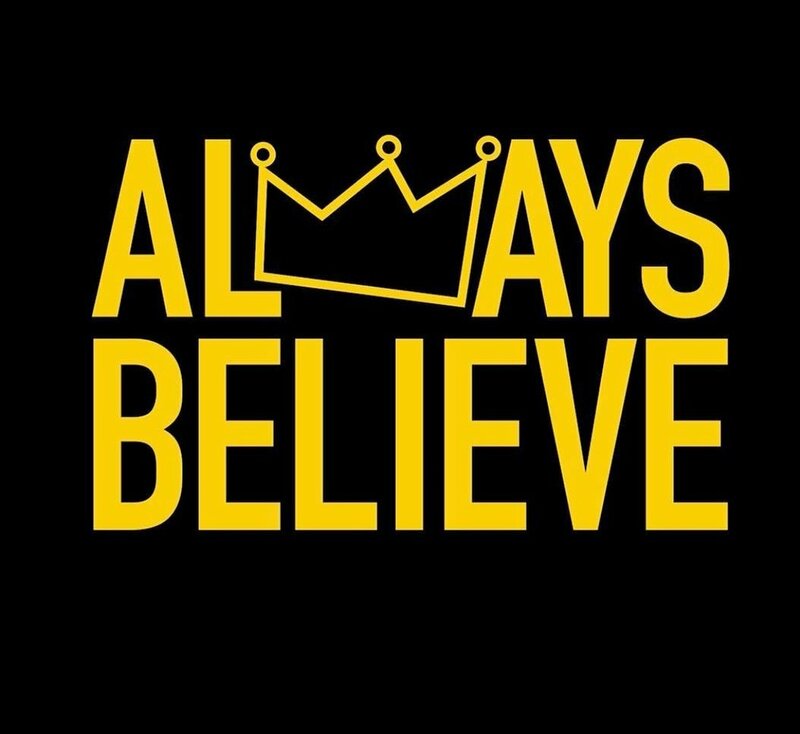 Jahkil was also tapped to participate Disney’s Be Inspired Black History Campaign, Lebron James’ #AlwaysBelieve 2018 campaign and Nike’s 2019 Future Varsity program. According to projectgivingkids.org, service and volunteering help build empathy in children. Children who are empathetic do better in school, get along better with others and form stronger relationships, making them more resilient and successful throughout their lives. It is no surprise that the most successful leaders have high levels of empathy too.